The eternal topic about how to organize your day well, how to feel comfortable and not to postpone important affairs till imperishable tomorrow seems to gain momentum for the last several years. Yes, the world is spinning around us, moving forward at an extremely fast pace, and that’s the time when lots of our prerequisite standpoints about lifestyle are no longer relevant. Nevertheless, it’s not always worth denying everything relative to other eras, sometimes such knowledge can come in handy and to the fore, only under new forms and directions you ought to make yourself aware of and accept. And learn how to work with them. If you’re already accustomed to morning exercises then there’s no need for you to remind yourself of how important they are. Instead, it’ll surely be necessary to optimize them to the full and adopt a systematic approach. Think about your daily routines in your workout, and if it really became something you do over and over day by day, then there is a high probability that it’s not 100% optimized. Perhaps, several exercises need to be crossed out, other would be a match instead. If you still fail to introduce physical exercises into your morning, then do it right now. You can invent any arguments you wish for not doing it, or criticize the good of it, but finally, our organism is something where self-restorability is the king. So, don’t neglect to charge your batteries as long as it’s up to it. If making lists is something you are not good at, then you’d better try to break the trend. In fact, there are people who haven’t learnt to do it yet, those who haven’t learnt to do it well, and finally those who refuse doing it on principle (they keep everything in mind, they’ve got some bad associations with everything under the form of list or record, these are among some exotic, although frequent, explanations). If the first two categories are promising, the last one is hard to deal with. 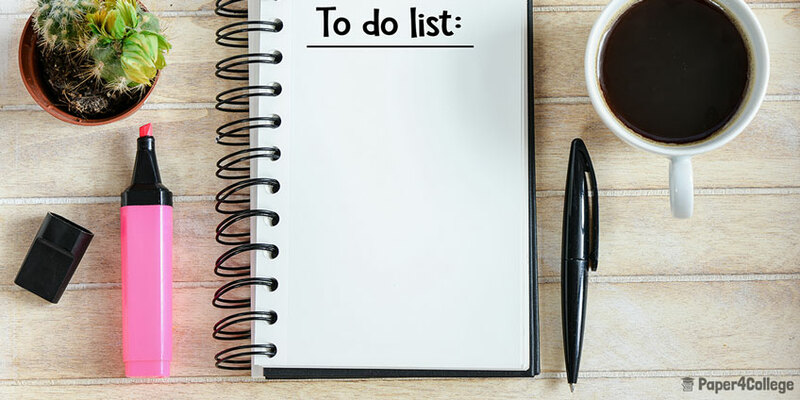 Making lists not only helps you to be more disciplined, it also makes your goals clearer and closer to you. With lots of tips on how to do it right, it’s easy to launch your schedules onto a totally new level. You’re one of those who live to the fullest and cutting several hours of your sleep day by day is your second nature? You’d better start sleeping well! If you already do morning exercises or even if you are a gym-goer, you still don’t have anything to be proud of if you have the insufficient time of sleep. Sleeping is like an invisible bigwig, nothing can be done without it. Had a great workout once again? Great. So, let the sleep do the job and burn your fat. Sleeping well is indeed irreplaceable for your feeling good, and that’s the backbone of everything, be it working efficiently, starting your day off in a good mood or thinking about fixing your timetable. If you go out rarely with your friends, you may feel miserable from time to time, even if you reassure yourself that it’s ok, or seem to ignore what’s happening. Deep inside, you know well what’s going on and what you are missing. In fact, talking to someone close to you is not just something prettifying our lives, it’s something of a psychological must, a must for our emotional well-being. So, if you feel overworked, you know that it’s high time you met someone dear to you to socialize with. As strange as it may seem, your comfort, good mood and effortless flow throughout life depend on minor things. Minor, yes, they are, but only at first sight. If you don’t wear comfortable shoes or your dress doesn’t fit you well, then your whole day might be spoiled. You won’t feel any urge to work as you used to, and in the beginning, you may waive it. Nevertheless, the same thing will repeat over and over again until you decide to reconsider your approach towards choosing clothes. If you used to be more or less satisfied with what you picked, now it’s kind of an epiphany: you’re almost ready to get rid of your wardrobe. No need for snap decisions, but anyway, the new logic about thorough choice is here to stay for sure. And rightly so. Choosing your right nutrition scheme is an object of various speculations and myths. No need to conform to something specifically, as different people tend to choose different diets or meal patterns and, guess what, they may all be equally sane. The only thing that is of a must here, is the very necessity to find the time and make up your own scheme. And, of course, to test it out and come to personal conclusions. As you can see, lots of practical tips are not to be sneezed at. First of all, feeling comfortable with where you’re at demands the prospect of sustainable growth and the vision of perspective. Without this, no matter how satisfied you seem to be now, you’ll still end up feeling nearly miserable, as the question “why for” is the only one pushing you forward and letting you do what you can do the best. On the other hand, to aspire to great future, you have to work with the present. And working with the present means to optimize it to the fullest. And that’s the space where our practical skills seem to really matter, as everything begins with them.